Well, for Rana Reider, that list is a long one. 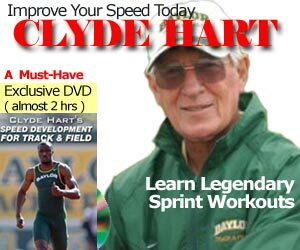 Today, coach Reider works at Bristish Athletics overseeing a diverse group of sprinters, jumpers and hurdlers such as Harry Aikines-Aryeetey, Tiffany Porter, Shara Proctor, Dwaine Chambers, Martyn Rooney and James Ellington. Prior to his role at British Athletics, he was the Men’s Assistant Coach at the University of Florida, and he even had stints at Clemson and Kansas State. I am going to start by being overly-Canadian and apologize for the sound in this video. In any case, we had a great chat despite the fact that it hasn’t even been 8 months since Rana moved to the UK.